GARDEN GROVE UNIFIED SCHOOL DISTRICT. The Office of Administrative Hearings (OAH) set this matter for due process hearing on October 3 and 4, 2012, with Judith L. Pasewark, Administrative Law Judge, Special Education (ALJ), presiding. Brian R. Sciacca, Attorney at Law, represented Parents on behalf of Student (Student, sometimes Parents). Sundee M. Johnson, Attorney at Law, represented the Garden Grove Unified School District (District). The parties, through their attorneys, and pursuant to written stipulation, requested that, in lieu of oral testimony and hearing, the parties submit their cases in writing to the ALJ for decision. 1 Student submitted declarations from Brian Sciacca (Student’s attorney), Julie Diep (Parent’s choice for SLA assessor), and Mother. 2 The District submitted declarations from Clark Osborne (District Coordinator of Special Education), Susan Blanchard (District Program Supervisor), and Nicole McLaughlin (District Speech and Language Pathologist). By close of business on October 3, 2012, the parties would submit simultaneous Opening Briefs, not to exceed 20 pages, with attached exhibits and declarations. The parties complied and submitted their briefs on October 3, 2012. By close of business on October 27, 2012, the parties would submit simultaneous Reply Briefs, not to exceed 15 pages. The parties complied and submitted their briefs on October 17, 2012. The record in this hearing would close upon receipt of the Reply Brief. The Reply Briefs were received at close of business on October 17, 2012, and therefore the record closed on October 18, 2012. A decision will be rendered by this ALJ based upon the Opening Briefs, attached exhibits and declarations, and Reply Briefs only. Student’s Opening Brief and attached exhibits and declarations is marked for identification and entered into evidence as Student’s Exhibit 1. 1 Student’s Closing Brief is marked and entered into evidence as Student’s Exhibit 2. The District’s Opening Brief and attached exhibits and declarations is marked for identification and entered into evidence as District’s Exhibit A. 2 The District’s Closing Brief is marked and entered into evidence as District’s Exhibit B. The sole issue for determination in this hearing is whether the District has violated Student’s procedural rights, resulting in a denial Student a free appropriate public education (FAPE), by failing to fund an agreed upon independent educational assessment (IEE) with a qualified assessor of Student’s own choosing. Student contends the District must fund the IEE because it failed to allow Parents to contract with an assessor not on its approved list. Further, Parents’ chosen assessor is necessary because she is bilingual in Vietnamese and English, and the assessor’s speech and language assessment (SLA) rates are reasonable within the community. The District contends that it has the right through its IEE policy to establish criteria related to the costs of IEEs to ensure that publicly funded assessments are not unreasonably expensive, and the IEE requested by Student greatly exceeded the reasonable and customary rate for a bilingual SLA in Orange County, California. Further, the District contends Parents did not demonstrate that Student’s circumstances were so unique as to justify a SLA that greatly exceeded the reasonable and customary rate for such assessment. In this matter it is determined that Parents’ choice of assessors is appropriate and her professional rate for a bilingual SLA is not excessive. 1. Student is a 10-year old fifth grader who resides within the boundaries of the District. Student is eligible for special education and related services under the category of autism. Student is currently in a special day class (SDC) for moderate to severe disabilities. He receives speech and language therapy (S/L), occupational therapy (OT), behavior intervention services and adaptive physical education (APE). Student has been enrolled in District educational programs since pre-school. All of Student’s educational instruction has been in English, although Student is exposed to both the English and Vietnamese languages at home. 2. The District prepared a Triennial Multidisciplinary Review/Report which was reviewed at Student’s triennial individualized educational plan (IEP) meeting on October 20, 2011. It does not appear that the District re-assessed Student in any area, but relied upon interviews, observations, and available records, including Student’s 2008 triennial evaluation. The 2008 evaluation determined that Student demonstrated what appeared to be below average cognitive ability, speech and language delays and some adaptive behavior deficits that were characteristic of his autism. In short, the 2011 IEP team acknowledged Student has an ongoing history of autism and delayed language skills. In the classroom, Student makes cooing noises and repeats them when he is excited or upset. Student has access to a picture communication system. He is able to spontaneously request items of want or need using a picture communication system. He is now able to take a sentence strip from his communication book, walk over to a communication partner and present his sentence strip (requesting item). At times Student will manipulate an adult hand to request items. When doing this, Student uses appropriate eye contact. Student has not been observed to repeat utterances asked of him. He attempts, but demonstrates difficulty in this task. Student was also given the opportunity to use a simple assistive technology (AT) device. However, Student only used the device to ask for food. When it was not snack time, Student used the device to ask for food, and became upset and began to tantrum. 3 Parents consented to the October 20, 2011 IEP on February 8, 2012, with the exception of the SLA. 5. On February 15, 2012, the District sent Parents a letter agreeing to fund an IEE in the area of speech and language. The letter also included a copy of the District’s Independent Educational Evaluations Criteria (IEE Criteria). The District’s IEE Criteria indicates the required components of an IEE, cost limitations, geographic limitations, location of evaluators, and the minimum qualifications for evaluators. The IEE Criteria also contains a non-exhaustive list of individuals and agencies the District has pre-approved to complete IEEs, including six, non-public agencies approved to conduct SLAs. None of the pre-approved assessors on the District’s list are bilingual in English and Vietnamese. 6. In terms of cost limitations, the IEE Criteria states that reimbursement for IEEs will be limited to the comparable cost the District incurs when it uses its own employees or contractors to perform similar assessments. Under the District’s cost formula, the reasonable and customary rate for a SLA does not exceed $800.00. The IEE Criteria goes on to state, “Costs in excess of this amount will not be approved unless the parent can demonstrate that such costs reflect a reasonable and customary rate for such evaluative service, or if the parents can demonstrate that there are other factors that make the extraordinary costs necessary.” The IEE Criteria does not provide parents with instructions on how to challenge the District or seek exception to the IEE cost restrictions. 7. Parents selected Julie Diep to perform the SLA. Ms. Diep is not on the District’s proposed list of assessors, but she maintains a practice at New Hope Therapy Center which is located within the boundaries of the District. Ms. Diep was also formerly employed by the District as a speech and language pathologist (SLP), and is currently certified as a non-public agency by the State of California for the purpose of providing S/L services to children with disabilities, including assessments. Ms. Diep is bilingual in English and Vietnamese. Additionally Ms. Diep is a Board Certified Behavior Analyst (BCBA) and is qualified to offer Applied Behavior Analysis (ABA), a therapy most frequently utilized with children with autism. There is no dispute regarding Ms. Diep’s professional qualifications or ability to appropriately administer Student’s IEE. 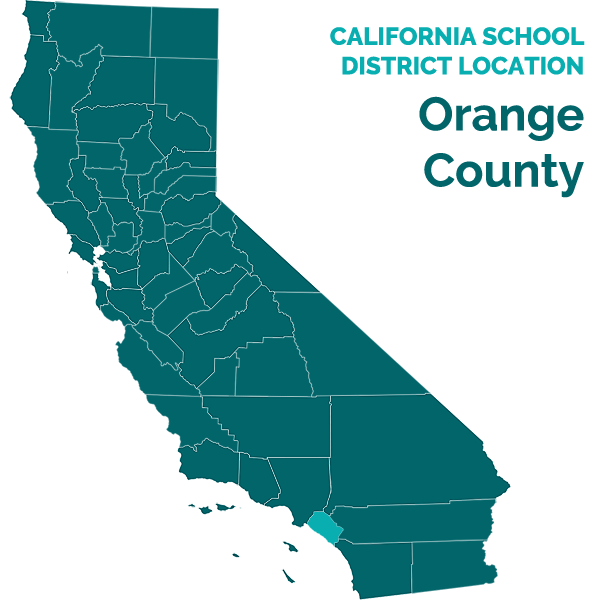 Ms. Diep also has contracted to provide speech and language IEEs with several school districts in Orange County, including Cypress School District, Orange Unified School District and Tustin Unified School District. 8. When Parents selected Ms. Diep, the District requested her rate sheet for IEEs. Ms. Diep notified the parties that her rate for Student’s IEE would be $2,400.00. The District notified Parents of its IEE cost criteria, and offered to reimburse Parents for Ms. Diep’s IEE in an amount not to exceed $800.00. Additionally, Parents could still select an IEE assessor from the pre-approved list of non-public agencies, who would perform the SLA within the District’s financial cost criteria. Parents did not accept the District’s offer of $800.00 for an IEE in speech and language. 9. Nichole McLaughlin, a District SLP, who has provided Student’s S/L services for more than five years, indicated that generally speaking, an appropriate assessment of a bilingual student can be conducted by an assessor who is not bilingual with the use of an interpreter. In her opinion, Student could be assessed by an SLP who is not bilingual, with the use of a Vietnamese interpreter. 10. The District contacted at least four of its non-public agencies which conduct bilingual SLAs in Orange County to obtain more information regarding the reasonable and customary rate for this type of assessment. The District obtained quotes ranging from $360.00 to $1,000.00. When the District contracts with a non-public agency to provide a bilingual SLA, it generally pays $360.00 to $800.00 per assessment. None of the non-public agencies could provide an assessor who is bilingual in English and Vietnamese. Therefore, the District also offered to provide a District Vietnamese language interpreter to assist in the IEE. 11. Mother indicates the District did not provide Parents with the opportunity to explain the necessity to utilize a more expensive assessor than the ones on the District’s list. Mother selected Ms. Diep because she is well regarded in the community as a SLP and specializes in working with children with autism. Ms. Diep is bilingual in English and Vietnamese, which are the two languages spoken in Student’s home. Mother believes it is particularly important for Student to be assessed by someone who speaks both of his home languages. None of the assessors on the list provided by the District are bilingual in English and Vietnamese. 12. Pursuant to her declaration, Ms. Diep submitted her rate sheet to the District as requested. Ms. Diep’s estimated case rate of $2,400.00 included (1) a comprehensive SLA conducted at the New Hope Therapy Center; (2) natural environment observations on site; parent/teacher/professional interviews; and attendance at Student’s IEP meeting. A comprehensive S/L report would be prepared and would include (as needed) (1) a medical and educational records review; (2) standardized and criterion-referenced testing; (3) a summary of findings; and (4) recommendations which would include types and intensity of services, equipment required, and therapy goals. Depending upon Student’s unique needs, the assessment could include assessment of speech, oral motor, voice, fluency, augmentative communication and assistive technology, feeding and swallowing, receptive, expressive and pragmatic language, and executive functioning. The District did not provide any information to indicate what was included in their approved S/L assessments. Therefore, there is no way to compare their “bang for the buck” with Ms. Diep’s proposal. 4 Generally, offers of settlement will not be introduced into evidence at a due process hearing. In this matter, however, both parties included this information in their factual presentations, as an indication of their perspectives regarding reasonable cost versus excess fee. Additionally, in response to this information, Student reduced his remedy request to $1,500.00. While this information is not being considered as each party’s offer of settlement, an adage is noted: pity the fools who will not settle over $500.00. 2. Under special education law, the parent of a child with a disability has the right to present an administrative complaint with respect to any matter relating to the identification, evaluation, or educational placement of the child, or the provision of a free appropriate public education (FAPE). (20 U.S.C. § 1415(b)(6)(A); 34 C.F.R. § 300.507(a)(2006); Ed. Code, § 56501, subd. (a)(1)-(4).) OAH has the authority to hear and decide Student’s complaint which requests District funding of an IEE by the assessor selected by Parents. 5 Unless otherwise cited, all references to the Code of Federal Regulations refer to the 2006 version. 13. It is clear the District is within its rights by establishing criteria to ensure that the cost of a publicly funded IEE is reasonable. Further, in order to avoid unreasonable charges for IEEs, the District may establish maximum allowable charges for specific tests. (Legal Conclusion 5.) However, if the District does establish maximum allowable charges, the maximum cannot simply be an average of the fees customarily charged in the area by professionals who are qualified to conduct the specific test. Rather, the maximum must be established so that it allows parents to choose from among the qualified professionals in the area and only eliminates unreasonably excessive fees. (Letter to Kirby, supra, 213 IDELR 233.) In this case, the District’s maximum fee determination was determined solely on the range of fees customarily charged by its approved agencies. Further, the District did not add its costs for providing a Vietnamese interpreter. The District is ordered to fund an Independent Educational Evaluation in the area of speech and language by Julie Diep at a cost not to exceed $1,500.00. Student has prevailed on the sole issue presented in this hearing.